You Wouldn’t Feed Your Dog… Fish Food? So Why Are You Feeding Your Special Plants Tomato Food? If you’re using a generic cal-mag supplement, chances are you’re using a formulation designed for general produce. But if you’re trying to grow high-value plants, there’s only one product you want. 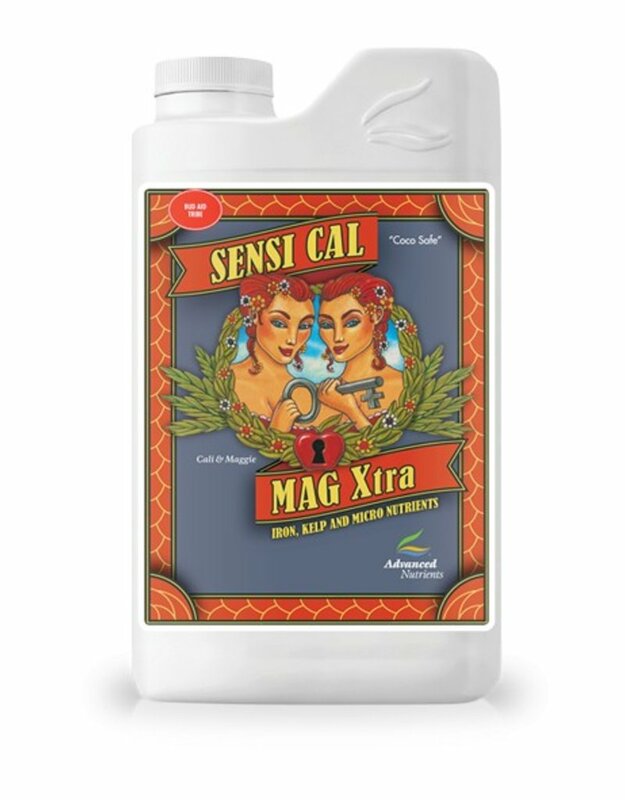 Your plant has unique needs, and Sensi Cal-Mag Xtra is the only hydroponic additive tested on and designed specifically for the types of plants you grow. What Does Cal-mag Actually Do? In the case of cal-mag supplements, calcium and magnesium are obviously the most important elements in the bottle. But do you know what calcium and magnesium actually do for your plant? How they operate? Do you know which ingredients help optimize the functioning of calcium and magnesium? Many growers take this sort of information for granted. But plant science is rather complex, and a deeper understanding of these issues is critical to grow competitively. Magnesium is fundamental to chlorophyll, and is directly related to the process of absorbing light. Calcium is a basic building block of cells and growth. A deficiency of either means the most important growth reactions in your plant are stunted. Obviously there’s more to the story. Plant metabolism is a very complex operation. But there is something most growers and hydroponic nutrient companies have overlooked when it comes to calcium and magnesium supplements, that is going to change the industry standard. Calcium and magnesium are only two of many nutrients your plant needs to operate at full growing capacity. Also among these elements is iron. Iron is considered a micronutrient, which only needs to appear in trace amounts compared to macronutrients like calcium and magnesium. Everyone knows this. The important part though is that iron acts as a catalyst for essential reactions within the plant, especially related to metabolism. In plain English, the Advanced Nutrients team of scientists have found that with the right chelated forms of iron, in just the right ratios, every other nutrient becomes exponentially more effective. You can’t just throw iron in, in any amount. It has to be the right form of chelated iron. And it has to be in the correct ratios, in relationship with the other nutrients in your reservoir. 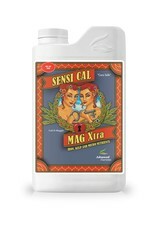 Sensi Cal-Mag Xtra is the result of test after test performed on the plant specifically, that the Advanced Nutrients team of scientists have found to maximize plant growth potential. Sensi Cal-Mag Xtra is different than classic Sensi Cal-Mag because of the improvements in micronutrients like iron, as well as 20 L-form amino acids to ensure the potential of every nutrient in Sensi Cal-Mag Xtra is performing at maximum potential. Every last detail has been accounted for to make this product as perfect as scientifically possible. It’s different from the competition in that no other hydroponic company has had the opportunity, or the brave enough leadership, to scientifically test strains of plants in the volume Advanced Nutrients has.